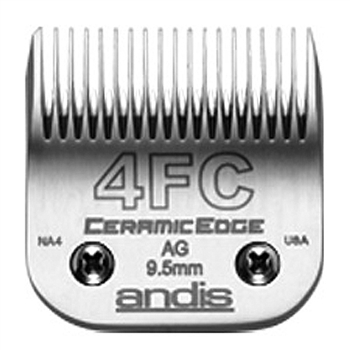 Ceramic blade set for Andis detachable blade clippers. This blade will leave 3.2mm of hair and is a finish cut blade so will leave a smooth finish. Can be used for removal of tight matts. Ceramic cutters will extend the life of your blades. Change cutters when blades are blunting. 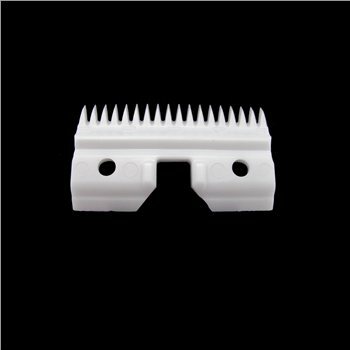 These ceramic cutters will convert any A5 type blade to the ceramic version. 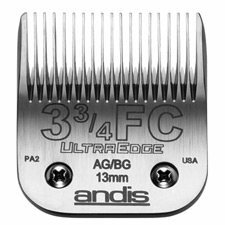 Simply replace the steel top blade with one of these. 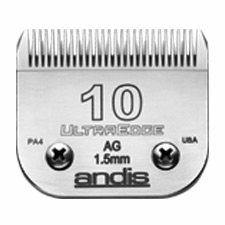 Ultraedge blade set for Andis® detachable blade clippers. 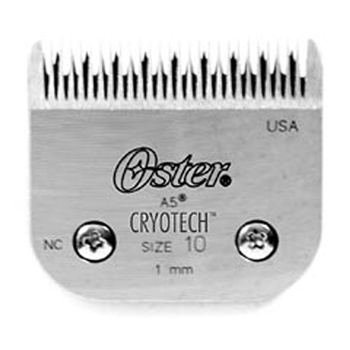 This blade leaves 6.3mm suitable for body work on terriers. This is a Finish Cut blade so will leave a smoother finish. 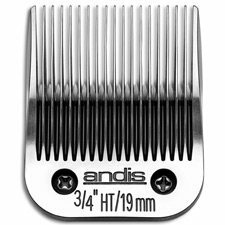 Chrome plated, carbon-edged blade set for Andis® detachable blade clippers. 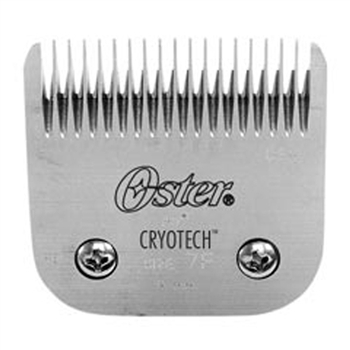 Used for clipping longer pet styles. 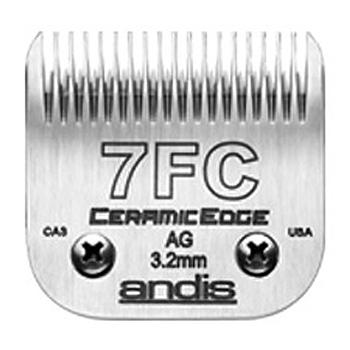 Leaves 13mm of hair and this is a Finish Cut blade so leaves a smooth finish. AgION® Antimicrobial: Only blade in the industry protected by antimicrobial coating against broad range of bacteria. 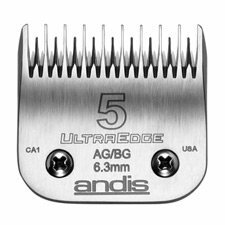 Ultraedge blade set for Andis® detachable blade clippers. 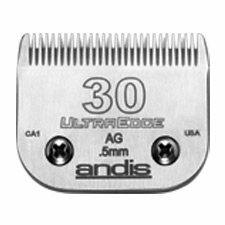 This blade will leave 3.2mm of hair. 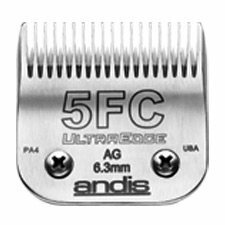 This blade set is for Andis® detachable blade clippers. 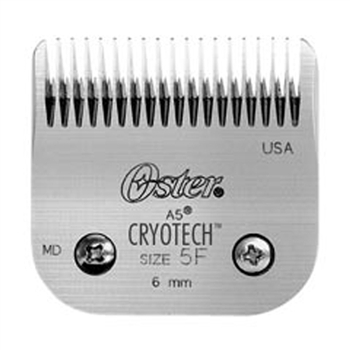 Used for close clipping of the face, feet, tail, ears and pads. 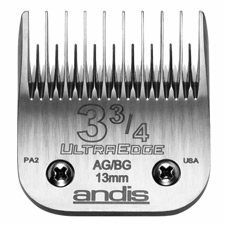 Also suitable for using underneath most comb guides. 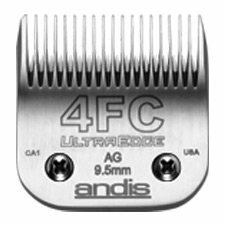 Ultraedge blade set for Andis® detachable blade clippers. 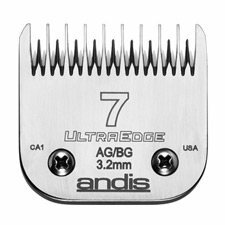 This blade leaves 6.3mm suitable for body work on terriers. 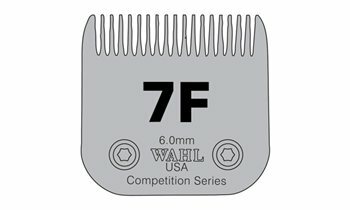 Wahl Competition Blades are top quality and used by many top groomers. 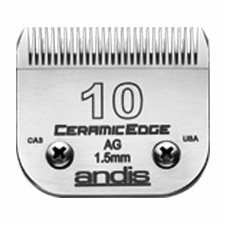 This blade will leave 19mm of hair which is a very long coat finish. 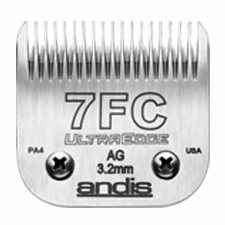 Chrome plated, carbon-edged blade set for Andis® detachable blade clippers. Used for clipping the face, feet, pads, ears and tail. 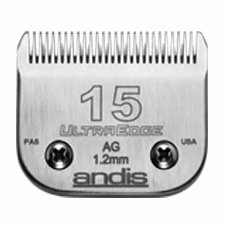 This blades leaves 1.2mm of hair.